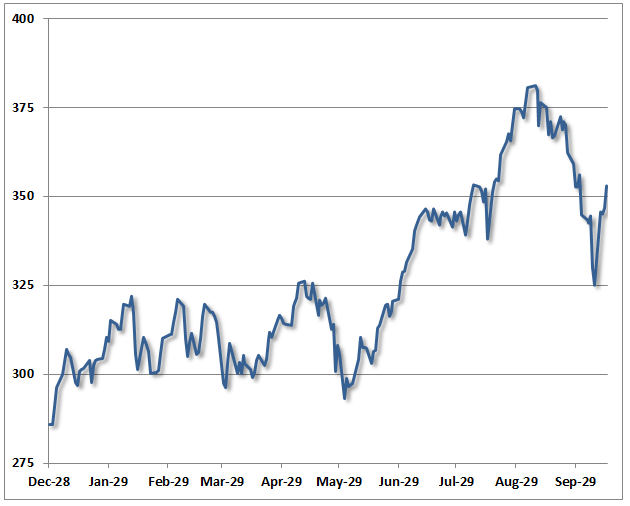 [02.16.14] I look forward to fund manager John Hussman’s blog posts each week (hussmanfunds.com). John is an experienced market researcher, but in some of his articles last year he reflected on his overvaluation concerns, which were similar to those expressed by Jeremy Grantham’s team (read GMO’s November 2013 newsletter here regarding asset overvaluation in 2013). 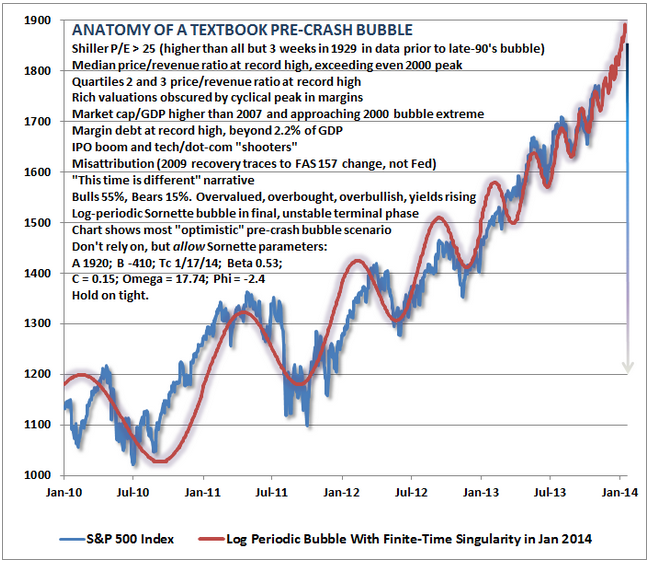 The graph shows the S&P 500 converging on what Sornette terms a “log-periodic bubble,” which is essentially caused by investors “buying the dips” reflexively every time the stock market declines in value. “Buy the dips” results in corrections that are shorter and shallower each time. 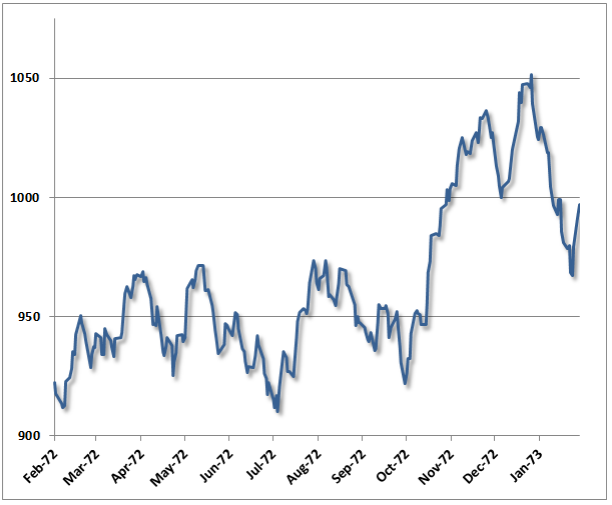 This pattern has prevailed immediately before each of the most serious historical stock market bubbles burst (1929, 1973 and 2000) — the fact that it’s repeating again in early 2014 is mildly nerve-wracking. Considered along with the Sornette log-periodic bubble analysis, I would say this additional perspective takes us into moderately nerve-wracking territory — especially after a 5-year bull market run that’s raised equity values 135% above the March 2009 lows. 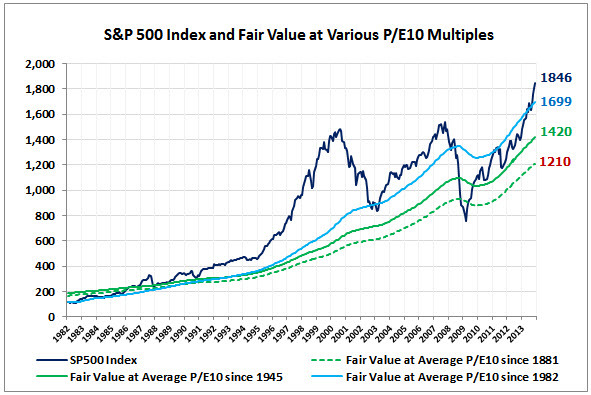 US stocks could have been undervalued as of year-end 2013 by as much as 6.8%, if, once again, investors are benchmarking “normal” to the post-1982 period. 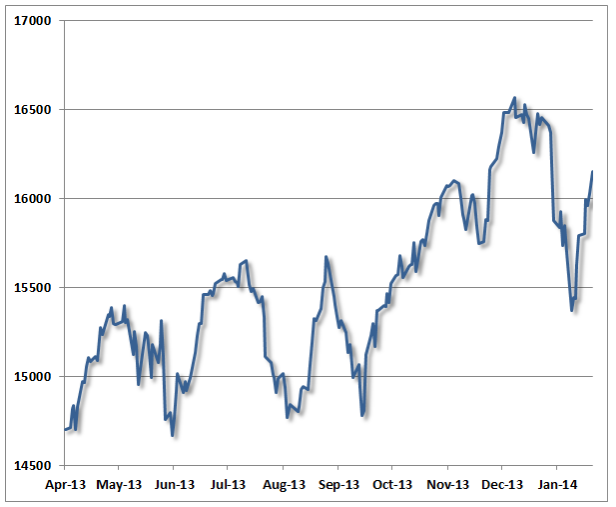 Conclusion: Both a Sornette log-period bubble and a Lindsay “3 peaks and a domed house” formation are evident in US equity values in late 2013 through early 2014. 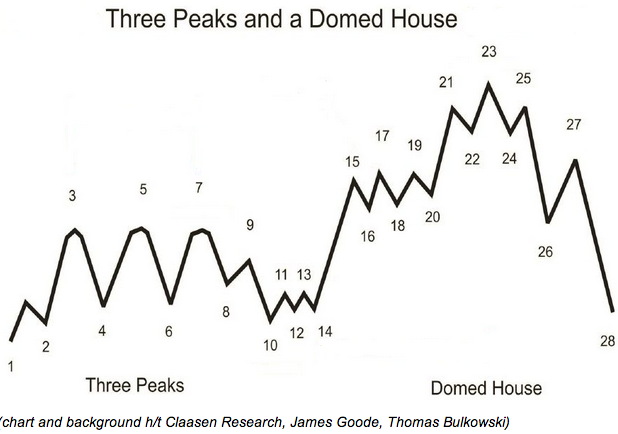 These patterns have preceded the bursting of stock market bubbles in 1929, 1973 and 2000. 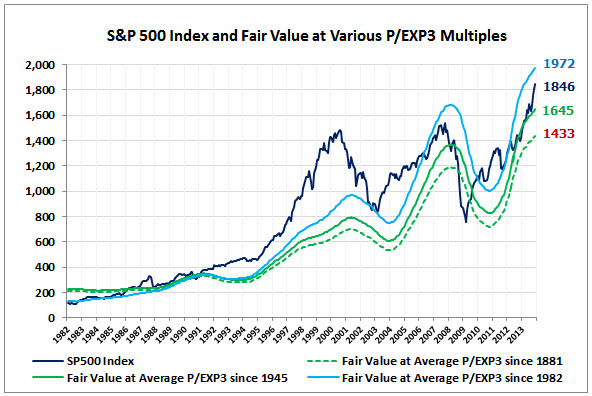 Additionally, US stocks are “overvalued” based on a traditional P/E10 CAPE, but are within the high range of normal valuation if the market no longer benchmarks to a 10-year moving average of earnings and/or a 130-year history of relative valuation. Consistent with a large body of research (Shiller’s Irrational Exuberance included), it’s extremely difficult — and perhaps impossible — to see a bubble through the windshield. Only after the bubble bursts, and we can study it in the rear-view mirror, can we rationally deconstruct how we got there and why we couldn’t back away from the precipice with sufficient caution not to burst the bubble. I see current circumstances as another of these instances. Investor enthusiasm for “buying the dips” makes it difficult to forecast the imminent bursting of a bubble, unless there are further negative developments in the unfolding global credit market downturn. 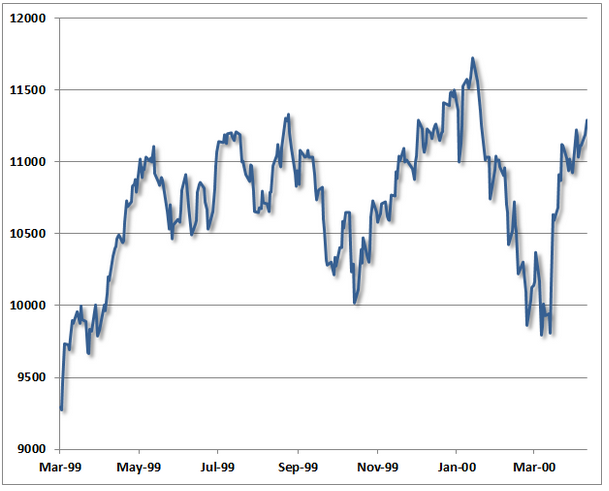 I would recommend assuming a strongly defensive position only if global volatility increases significantly. This week’s news flow bears close watching. in favor of his site, since here every data is quality based data. Sector Returns Q1 2014: Utilities and Health Care Led the Way Is Amazon a “Buy” After Its Recent Price Correction?